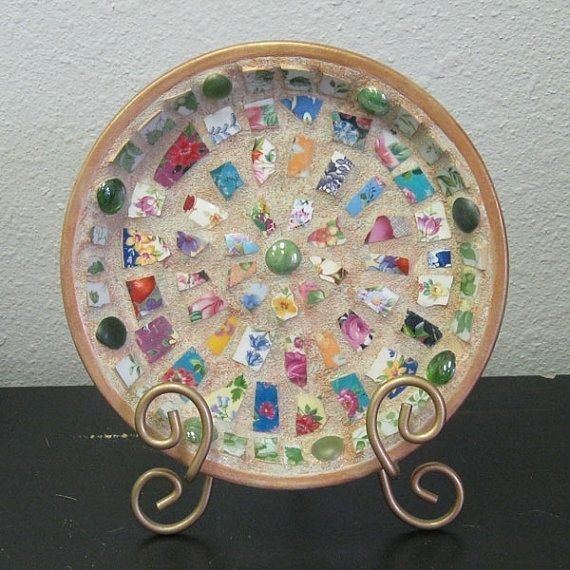 This charming mosaic will bring a touch of spring year round! 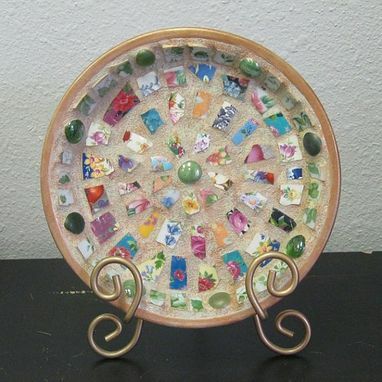 Broken china pieces in floral motifs are set in an 8" terracotta saucer. Recommended for indoor use. Stand is not included.